Phoenix Contact’s new PSR mini relays are the narrowest safety relays in the world with force-guided contacts. Having a width of just 6 and 12 mm, Phoenix PSR mini offer the same performance as a large safety relay. Thanks to the newly developed relay technology from Phoenix Contact, the highly compact design is possible. With its combination of unique features, PSR mini has been specifically optimized for use in machine building and the process industry. 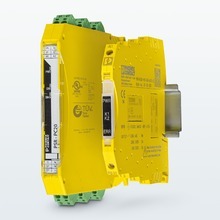 Thanks to the compact design and maximum flexibility of the safety relays with force-guided contacts, space savings up to 70%. Thanks to innovative relay technology from Phoenix Contact, maximum safety and high switching loads of up to 6A. Thanks to global approvals, access to all relevant markets. Thanks to the installation of safe coupling relays directly in Ex zone 2, simplified creation of distributed concepts. Thanks to fine-grained architecture with one enabling contact or more, modular configuration of safety concepts. Phoenix PSR mini is the new generation of safety relays and the range comprises of 28 products in 6 mm and 12 mm versions. Despite the narrow design, thanks to comprehensive approvals and much more, the products offer maximum performance: they switch loads of up to 6A, are compatible with many signal transmitters and safety-related controllers and are versatile. The compact design quickly pays for itself, as numerous signals can be processed in a confined space, thereby utilizing the space in the control cabinet to optimum effect. The fine-grained architecture makes a modular design of safety concepts possible: the 6 mm version is available with 1 to 2 enabling contacts, the 12 mm version with 2 to 3. With PSR mini, you save on space and gain flexibility, without the need to make compromises in the application. Phoenix Contact’s centrepiece of the new PSR mini device family is the relay technology developed by them. Just 6 mm wide, the elementary relay with force-guided contacts impresses with its numerous technological details and is as reliable as safety technology should be. It is its robustness, reliability and diagnostic capability that sets it apart from a standard elementary relay. All individual parts of the relay are manufactured by Phoenix Contact to ensure high production accuracy and to meet their stringent quality requirements. In addition to the low space requirements, the new PSR mini safety relays offer the following advantages, particularly in the field of machine building. There is a complete range, compatible with many signal transmitters such as emergency stop equipment, safety door switches and light grids. Thanks to the provision of just one enabling contact, they have a modular structure of safety functions. As well as comprehensive approvals for global markets, the contacts are force-guided for maximum safety levels up to PL e according to ISO 13849 and SILCL 3 according to IEC 62061. Phoenix Contact’s PSR mini coupling relays are used for signal amplification and electrical isolation in conjunction with the outputs of a safety controller. Adapted to the relevant process control systems, the new product range offers SIL-certified coupling modules for safe deactivation (emergency shut-down) and safe activation (fire and gas). Shorter down times during scheduled maintenance phases, thanks to simple, fast diagnostics directly at the device or the controller. Use of safe coupling relays in potentially explosive areas for the simpler creation of distributed concepts. System cabling using customer-specific Termination Carriers for fast, error-free startup and connection in the field. Get in touch if you require more info ! Mitsubishi GX Works 3 Version 1.015 is on the website. There has been a number of reports from customers that with large, structured, projects GX Works3 can be relatively slow in performance. Nagoya Works has recognised this and plan to have this issue resolved in the December release of the software, which is aimed at addressing the speed and responsiveness of the software. 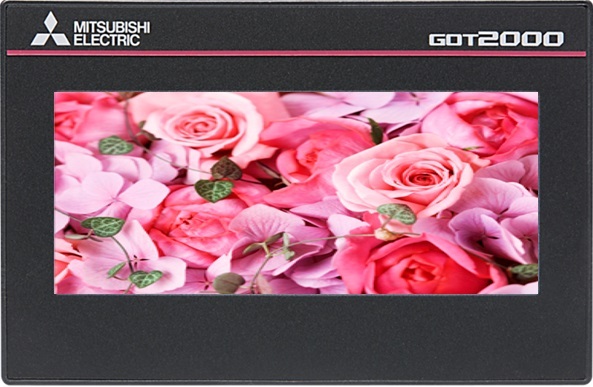 Mitsubishi are pleased to announce the release of the GT2103-PMBLS. This version uses a 5V power supply and is a direct replacement for their best selling HMI the GT1020-LBL. Connecting this GOT to an FX PLC using the GT10-C10R4-8P cable allows it to be powered from the PLC’s internal power supply saving space and cost. Variety of communication options including Ethernet, RS422 serial and USB. For further information or if you require a quotation, please get in touch !